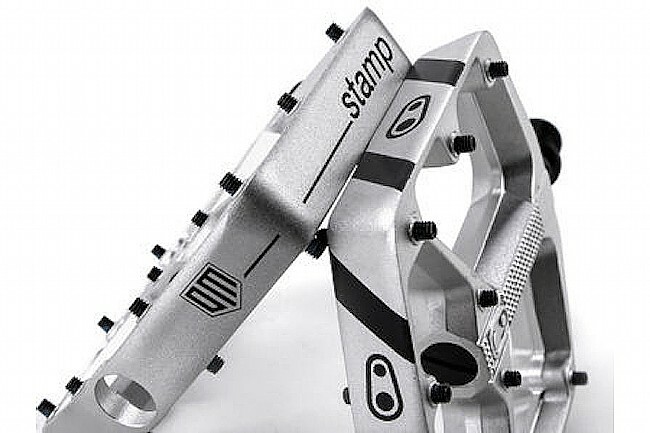 Crank Bros’ Stamp 3 Danny Macaskill Edition Pedals feature forged SCM435 Chrome-Moly Alloy Steel spindles and a forged 6061-T6 Aluminum Alloy body. 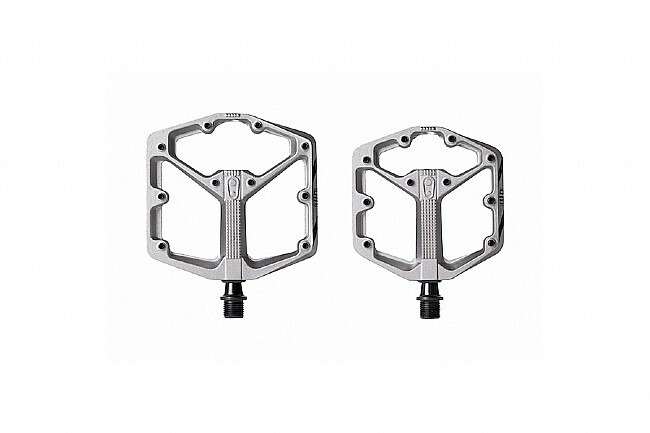 These pedals are equipped with high-quality bearings and sealing, 10 adjustable pins per side, and a concave, minimal profile. Available in small or large sizes. 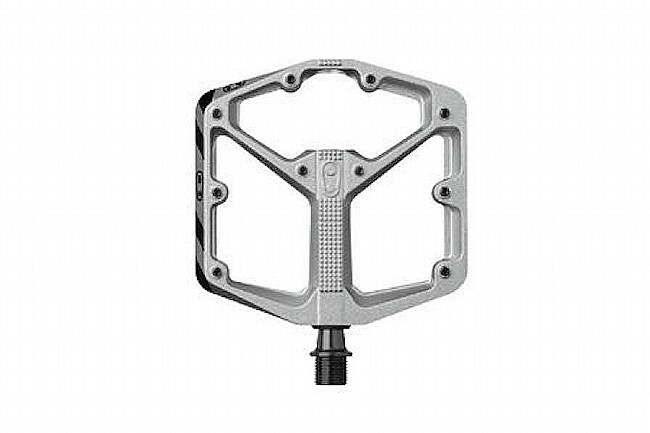 Body material: forged 6061-T6 Aluminum Alloy. Spindle material: forged SCM435 Chrome-Moly Alloy Steel. Dimensions: 100 x 100mm (small); 114 x 111mm (large). 10 adjustable pins per side. Small suited for US shoe size 5-10 (EU 37-43). Large suited for US shoe size 10-15 (EU 43-49).